This is the third post in the Thailand in Crisis series. The previous post, The Rise of Thaksin, described Thaksin Shinawatra’s 2001 election victory and rise to the premiership. To understand the immense popularity of Thaksin’s premiership, his economic platforms are key. A company is a country. A country is a company. They are the same thing. The management is the same. It is management by economics. From now onwards, this is the era of management by economics, not management by other means. Economics is the deciding factor. So spoke the newly elected prime minister. He had come to power promising prosperity instead of poverty, new-style management by a business-savvy CEO instead of some bumbling bureaucrat; now, it was time to act. Thaksin declared that Thailand was to be managed like a company, with him as chief executive. 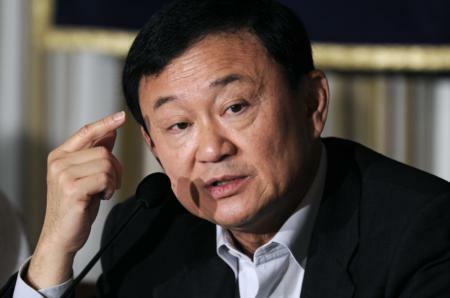 Styling himself the “CEO prime minister”, Thaksin got to work on Thailand’s economic woes. Some of “Thaksinomics” was, fundamentally, simply Keynesian economics where big-spending infrastructure programs to boost demand were implemented. But more importantly, it was based on a dual-track policy where Thaksin simultaneously aimed to take care of the rural grassroots, while not neglecting the enhancement of the international competitiveness of big firms. Thaksinomics valued domestic capital, free trade, and economic growth, and above all, inclusiveness: no one was to be left behind. To achieve the first track of grassroots promotion, the prime minister declared that he would act on several policies targeted at the rural poor that he had announced during the election campaign. Grants of 1 million baht were granted to villages as investment; by the end of 2002, 77.5 billion baht of “village funds” had been doled out. A people’s bank was established, so that small business owners could collect loans from the government. By the end of 2003, 3 billion baht had been loaned. A farmers’ debt moratorium was announced, where a moratorium of three years for borrowing from the Bank for Agriculture and Agricultural Cooperatives was provided, and by late 2001 this accounted for 94 billion baht. The “One Tambon One Product” (OTOP) program was created, with each village encouraged to create and market a product of local expertise, which resulted in sales of 43,000 million baht in 2004 alone. Most importantly, Thaksin initiated the “30-Baht to care for any disease” program, which provided virtually free universal healthcare. In the farming town of Bahn Rong Kong Khao, near the city of Chiang Mai in the country’s north, the government’s $2.3 billion Village Fund program, a microlending scheme, is a mini miracle, say residents. Narong Fongkraew, 50, who grows rice and chilies on his small farm, credits the Village Fund with saving not just his farm but the whole community. “After 1997, banks stopped lending to us and some people were forced to borrow from moneylenders who charged high rates of interest,” he says. Recently, Narong borrowed $475 from the Village Fund at a very low rate and used it to hire laborers to help him work his fields. Increased labor led to a greater crop yield, and this year, for the first time in six years, he earned enough to begin paying back his creditors. “I came very close to losing my land,” he says. “But now I think I will be free of debt within five years.” And Narong is not alone: nationwide, poverty levels have dropped almost 4% since Thaksin’s programs began in early 2001. Farm incomes rose 11% last year and more than 20% in the first half of this year. Meanwhile, Thaksin continued his transformation of Thailand into a “CEO-state”. The influence of business was clear: he directed government agencies to produce vision and mission statements and frequently spoke about the wisdom the Thai people could garner from the latest business books. 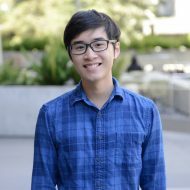 MBA-style training courses were organized for public servants, and a Harvard business professor Michael Porter, who most famously developed theories on competitive strategy, was commissioned to conduct an in-depth study about Thailand’s economy. As his supporters point out, Thaksin’s economic record speaks for itself. GDP growth rate grew from 5% in 2001 to 7% in 2003: a remarkable turnaround from the 1997 financial crisis. Thailand’s debt to the IMF was paid off 2 years early, at which point Thaksin declared “From now on, we are free of the IMF…I promise to you that if I am still around, this debt to the IMF will be our last”. Some analysts heralded the improved current account surplus, robust public demand and employment growth as signs that “Thaksinomics” was working. And in the end, what did these numbers matter? The public loved the policy platform, and for Thaksin, that may have been all that counted. Many villagers even said that they believed the village funds came, not from the Thai state, but from Thaksin’s own pockets; to not reward the generosity of a beloved billionaire prime minister with strong approval ratings and guaranteed re-election would be unthinkable. But to simply evaluate Thaksinomics based on the rosy economic numbers and popularity would be misleading. The most frequent complaint his critics espouse are that his populist policies are simply a form of vote buying by other means, except it would bankrupt the state along the way. Many became wary of fiscal irresponsibility. His economic record was also mixed in other respects. Exports, the second arrow of his dual-track policy, only rose slightly during his tenure. And the much bandied-about rise in rural incomes? They could have as much to do with increased prices for agricultural goods. A study found that only 21% of the village funds were used productively. Critics charged that Thaksinomics was only a short-term program; a one off boost to the economy, perhaps, but unsustainable in the long run. Indeed, the culture of easy credit that Thaksinomics fostered could had led to a repeat of the 1997 financial crisis. Thaksin’s populist policies [as] a cynical instruments to maintain voter support with vested interests reaping most of the gains from easy consumer credit, rural revival, and the selective promotion of industries connected to businesses of Cabinet members and government financiers. The prime minister’s booming Shinawatra telecommunications conglomerate epitomizes such vested interests. Thaksin Inc. harbors the self-reliant and nationalist characteristics acclaimed by the Thai leader, but its real benefits are to be reaped only by government insiders. Farmers will have access to credit but will only find themselves more indebted, unable to repay their loans, and ultimately misled by government promises. The credit system under Thaksin’s populism will become shoddier than even the dismal standards that prevailed before the 1997 crisis. An economic bubble rooted in property speculation and reckless credit expansion will undermine growth. Government debt will skyrocket with profligate expenditure programs fast outstripping revenue. A Latin American-style fiscal crisis will loom, and it will all end in tears. Renewed and prolonged economic disaster: a scary prospect, to be sure. But Thailand would not have a chance to find out which road Thaksinomics ultimately culminated in. Before economic disaster, Thaksin’s authoritarian decisions led first to political disaster that would eventually terminate his premiership.